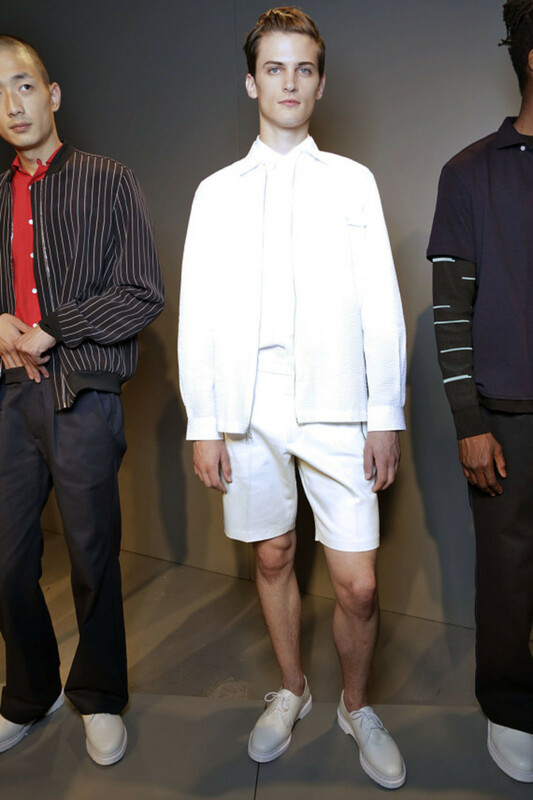 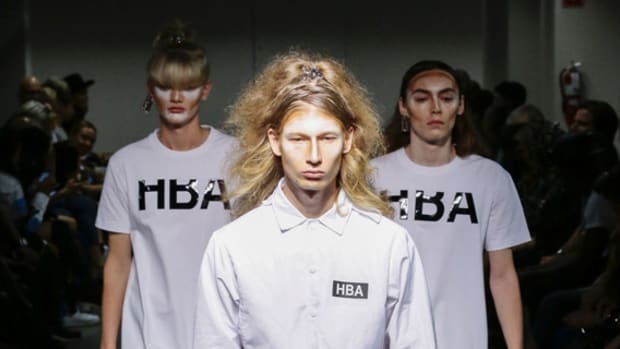 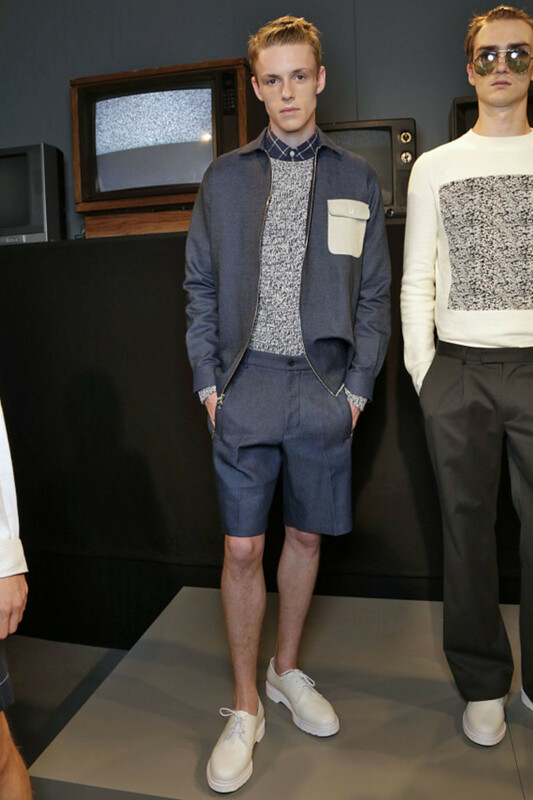 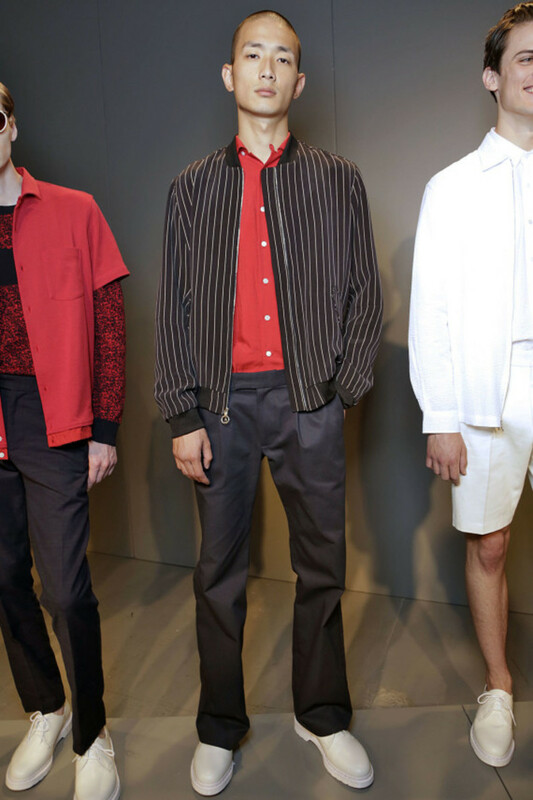 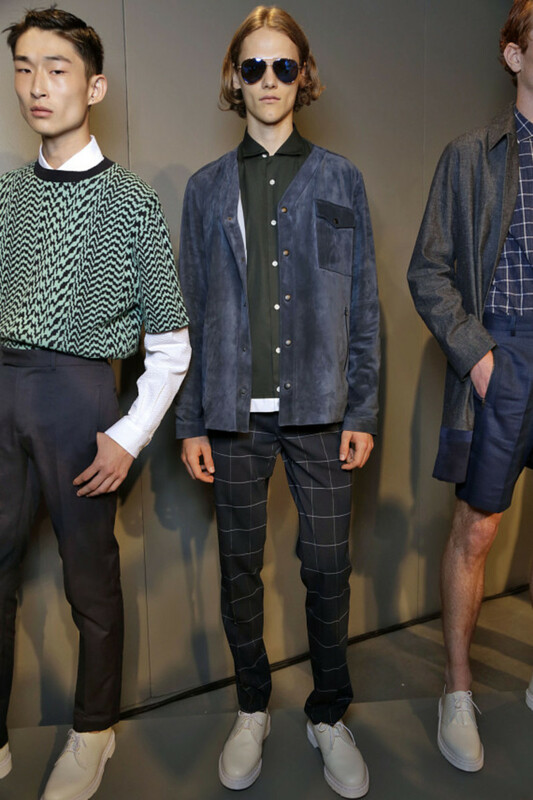 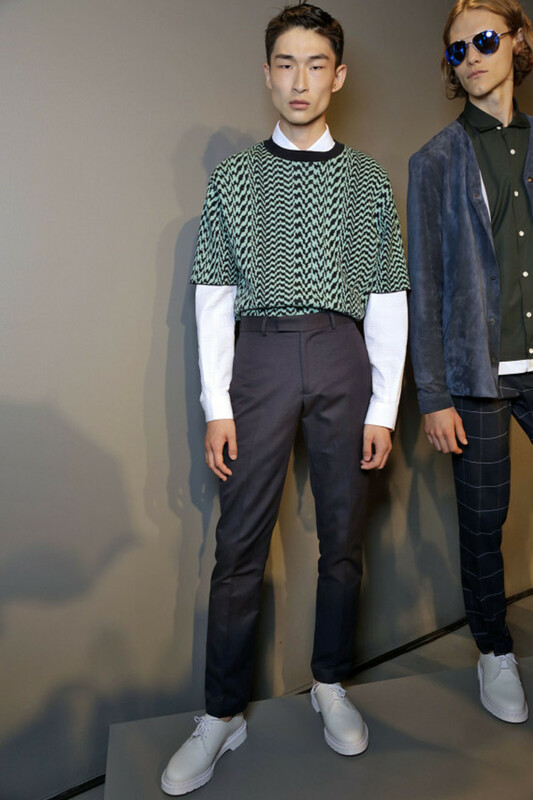 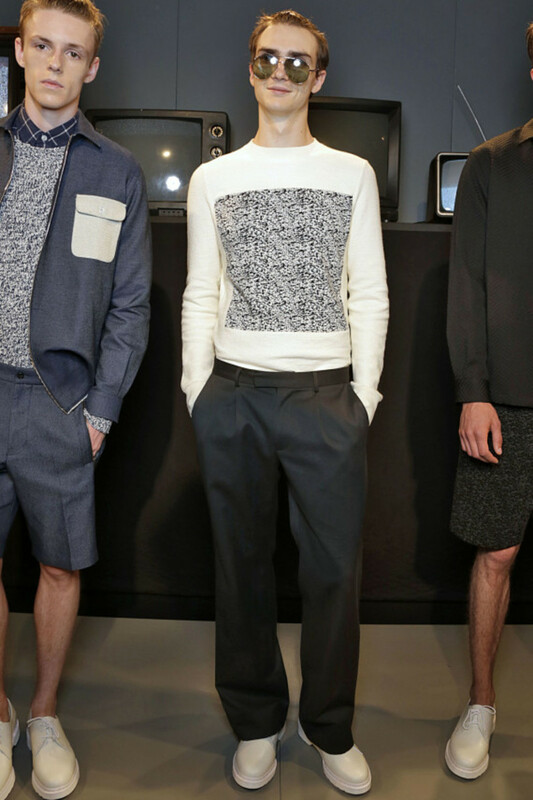 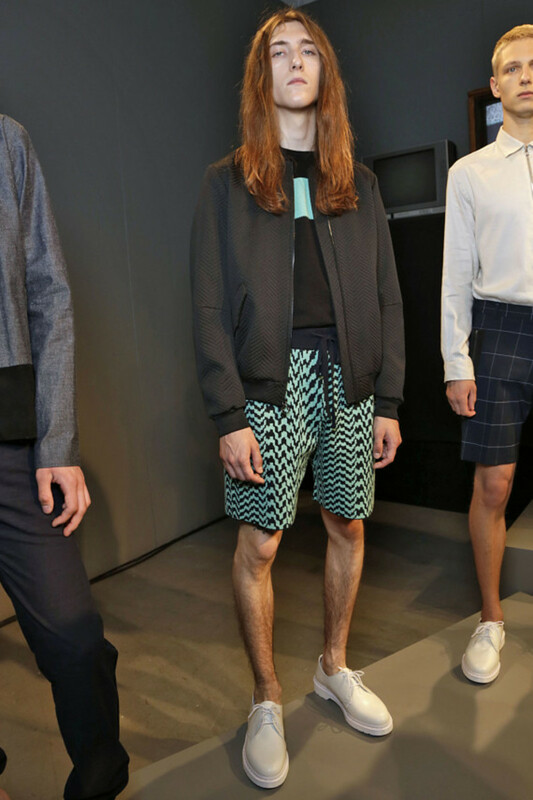 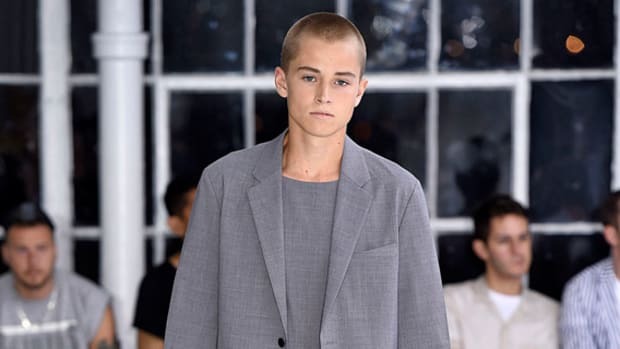 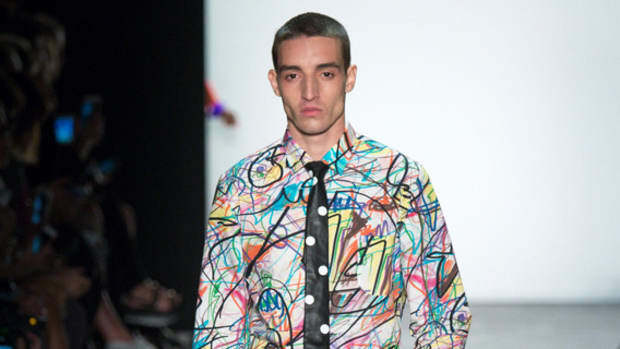 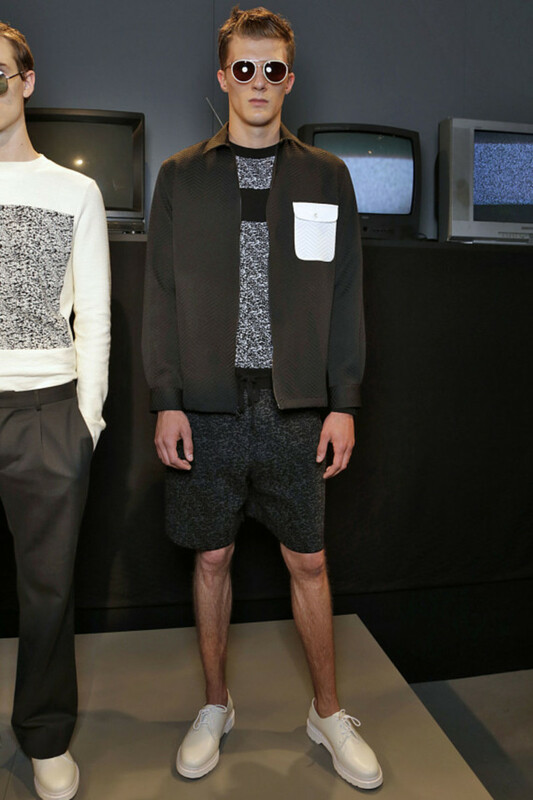 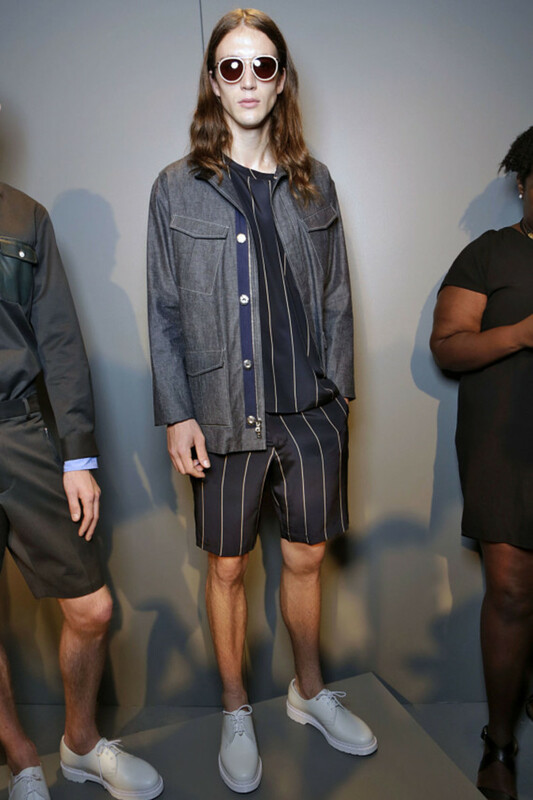 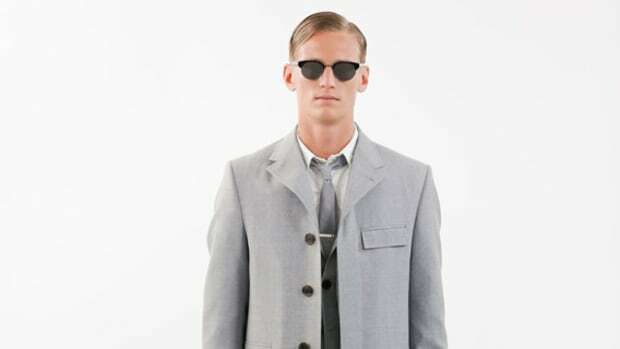 The creative force behind burgeoning American label Timo Weiland -- made up of the trio of Alan Eckstein, Donna Kang and Timo himself -- are known for their youthful vibe, and it was evident throughout the brand&apos;s Spring/Summer 2016 collection. 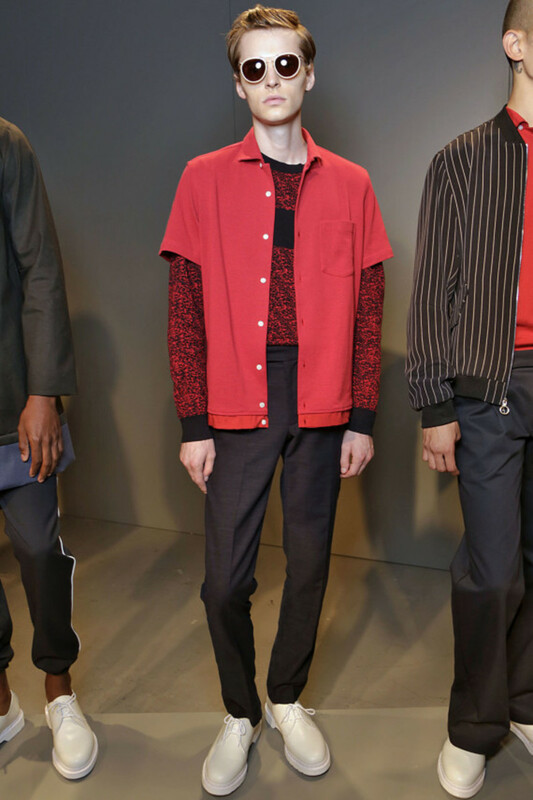 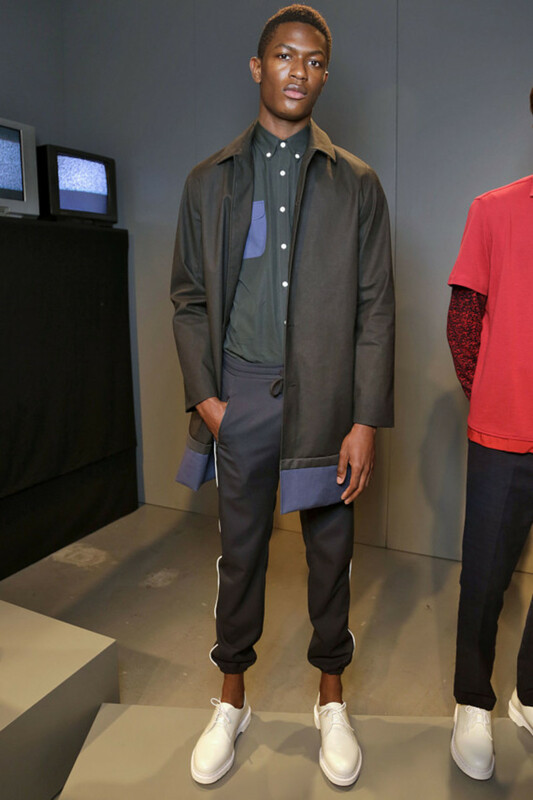 Presented at New York Fashion Week against a backdrop of non-working CRT TVs, the slim-fitting silhouettes exuded a &apos;50s sensibility. 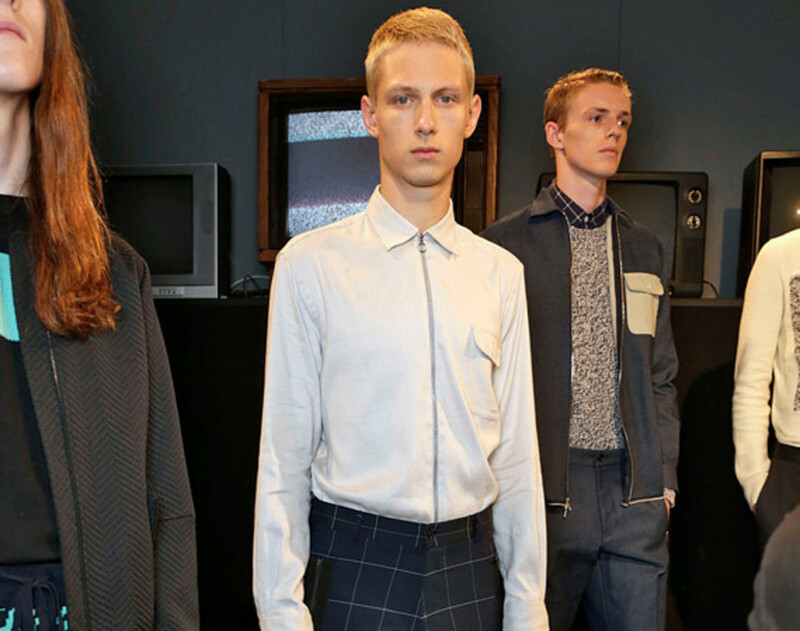 Windowpane plaids were a recurring motif on trousers and woven shirts, along with crewneck sweaters adorned with a static print, echoing the TV screens displayed behind the models. 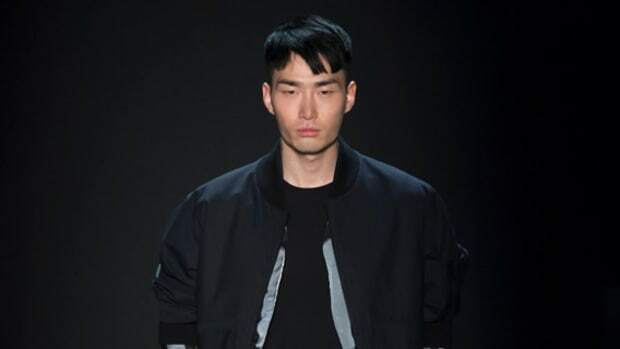 Lightweight outerwear, highlighted by a pinstriped bomber jacket and old-school blousons bearing a contrast-colored chest pocket, evoked summer nights in the city, where "The TV is on," as Timo says, "but no one is watching."